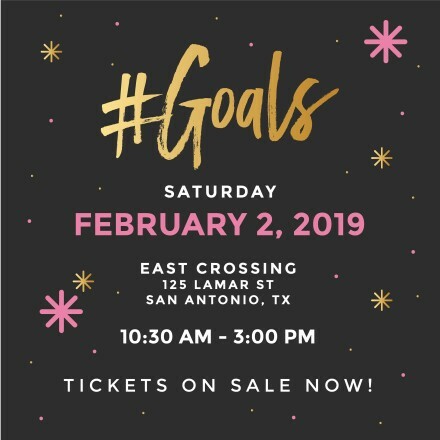 Join us for #GOALS, where we will gather and set our sights on achieving our biggest dreams of 2019! What is NOT included in your investment? Attire is "brunch with friends"
Grab a drink and some brunch, find your seat! First things first, let's get down to business - budget, save, and prepare for your future. Working on your fitness? Learn how to bring out the healthiest and happiest version of yourself! Wondering what move to make next? In this session, you'll get expert guidance on how to navigate and create the career of your dreams. You're ready! In this session, you'll officially set your #GOALS, find accountability partner(s), and learn some tips on how to crush 2019 and beyond! Chat it up with other like-minded women who have big #GOALS! And if you haven't done so yet, get your headshot taken, courtesy of FOMAS Cine! No refunds will be provided. However, you may transfer your ticket to another guest if you are no longer able to attend. Photographic Consent and Release: By purchasing a ticket to Florecer Femme's Launch Party (the Event), you acknowledge that Florecer Femme has hired a professional photographer(s) and videographer(s) who will be taking photographs and recording videos, including audio, during the Event. By purchasing a ticket, and as part of the consideration for your entry into the Event, you (1) consent to be photographed and recorded, in video and audio, at the Event and (2) irrevocably authorize Florecer Femme (and those acting on behalf of Florecer Femme) to use your likeness and voice in any medium for any purpose Florecer Femme deems appropriate, including (but not limited to) marketing on Florecer Femme's webpage, social media accounts, and other promotional material. You acknowledge that all photographs, video recordings, and audio recordings of your likeness and voice taken during the Event will be, and will remain as, the property of Florecer Femme. You understand that you will not receive monetary compensation from Florecer Femme for any use by Florecer Femme of your likeness and voice. By purchasing a ticket to the Event, you are representing that you have read and fully understand the terms of this Photographic Consent and Release.